Sometimes when you are hit with one thing after another, it’s hard to have faith in anything not yet seen. You tend to think that all the hard things will follow you along into the next; taking away any faith you have left. The year began hard for me with my moms passing, it wasn’t how I saw the year beginning as I really focused on what could be good and different going into the new year, but what I realized is, sometimes its those hard moments that really bring you to what you need to see to move to to the good you can have faith in. My mom’s passing really put things in perspective for me, and since her passing I have really changed how I see things and where my focus is. Even the work in therapy has changed as we really dug deep in our work to make the process of therapy better, and I have to say, I really love the direction my healing is taking and I owe it all to God who helped me see some things that were “not” helpful, but giving me things that “are” helpful. The passing of my mom was hard – a lot harder than I ever imagined! As much as I thought I was always prepared for her to pass away, it never prepares you enough for how it feels after something like that happens. It really changed things for me; made life and the healing path in front of me more fragile and important – even in some ways more sacred to get to the places I want to get to so life can be lived the way It should be lived. My moms passing made everything else seem so little, and my healing path now seems so much bigger than it was before. I see how quick life can be taken from you, and how you have this one chance to live the life you want it to be – I have suffered enough through my life, and now the movement forward just seems so important – more than it ever has! The past week in therapy with the changes my therapist and I made has made a HUGE impact on our work and I am so blessed that God showed up in the way he needed to show up so that I could see what it was that I needed, and also gave my therapist eyes to see what it was I needed in the process forward .. we have done AWESOME AWESOME work the past 2 weeks and I am so excited to finally see the changes actually happening instead of just putting faith in the changes. After 8 years of working together, you would think I would see things the same? well I see my therapist in a whole new light and I don’t know if its because of my moms passing, or if it was the changes we made in our work and routine .. or maybe if God just gave me more peripheral vision to what is around me – but I feel so GOOD about the work in therapy and the direction I am going in. Sometimes it really takes something HARD to open our eyes to the things we didn’t see before. Sometimes it really takes something hard to realize what you are missing and what is possible. Instead of talking about the things I want to see, I actually am doing it and seeing it happen! 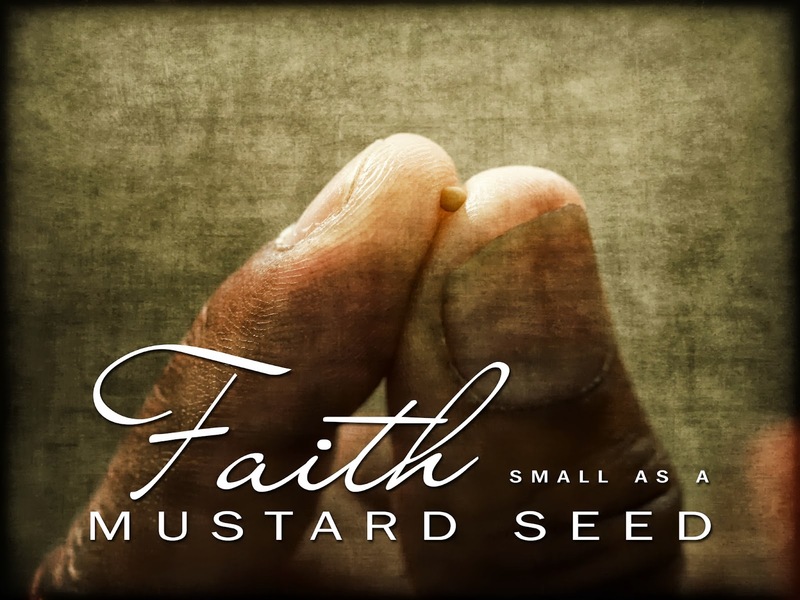 FAITH is as tiny as a mustard seed and yet holds SO MUCH promise to what is ahead if we just believe in it, and take a step into it. In a way, my moms passing has helped me heal in a whole new direction! I think she would be touched to know that. Karen, I was wondering how you have been doing since your mom’s passing. Living each moment wide-eyed and present is one of the gifts that comes when someone significant is removed from our lives. AT least I certainly have found that to be the case. May God continue to bless and Guide your journey. In His Grace, Your fellow traveler on the path. Thank you so much Dawn … its been a lot harder than I thought.. but in a way her passing is healing me in a new direction!